When we were first looking for land to build our house and garden we had a basic choice. We could buy open property, with no trees, and plant everything we needed to make the gardens. Or we could buy wooded, treed property and remove what was necessary to make space for the house and gardens and people. This wasn’t a deciding factor in any way; just something we were aware of. So the open property we chose was simply the best property we could find: it is in the area where we wanted to be; the size we wanted; at a price we could afford. And it is completely open. I actually thought, oh so innocently, that it made no difference whether I had to add trees or remove them. Well, it does make a difference. And the difference is shade. 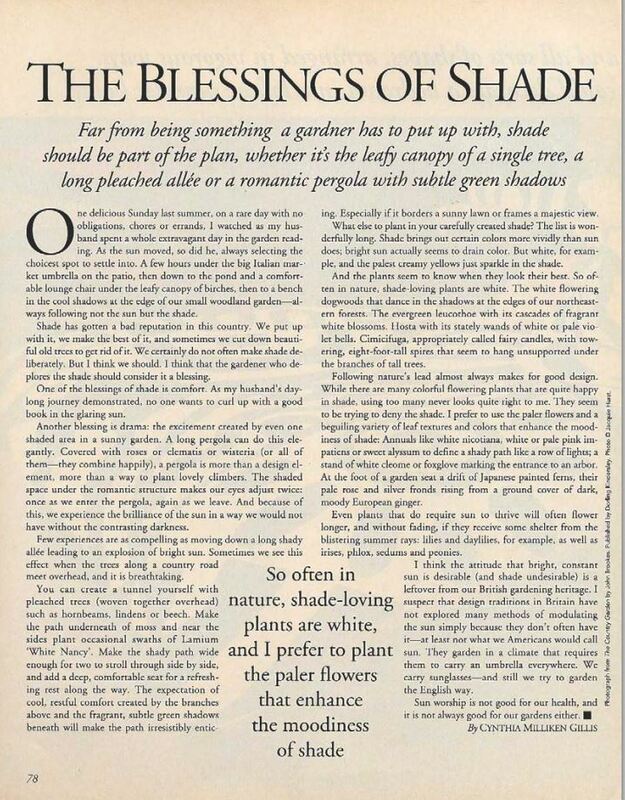 Many years ago I wrote this article for House Beautiful about the importance of shade in the garden. So, as you can see, I knew that shade was important. Essential in fact. The only way to be comfortable in a garden. 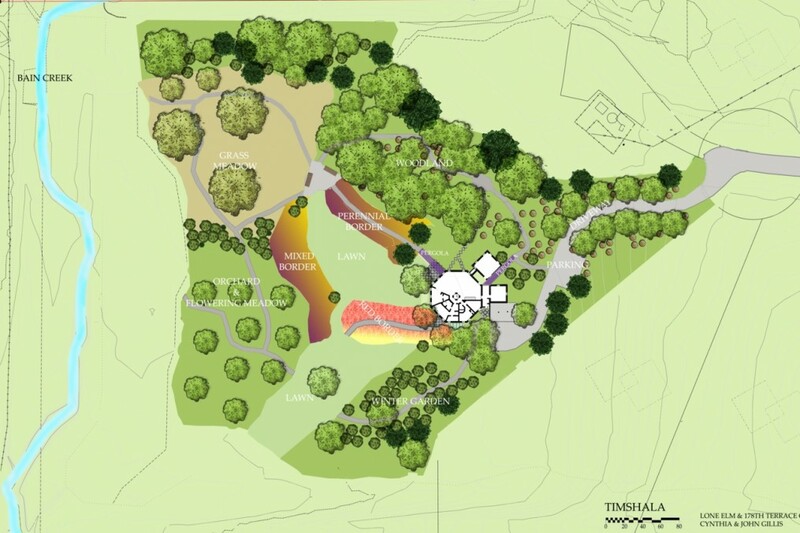 And of course the design of the gardens at Timshala includes planting many, many trees and shrubs to create – eventually – a shady woodland. There are pergolas to be covered with vines to shade the entries to the house, front and back. But at the moment, the pergolas are naked still. The ‘woodland’ isn’t one yet. Even with the trees that have been planted, it’s absolutely sunny everywhere. So here I am, relearning what I already knew, busily making shade. This entry was tagged new garden, Shade. Bookmark the permalink.